Cowboy and Birdbrain are best friends who work for I.F.F.Y. delivery company, a company that do the riskiest, zaniest, most bizarre deliveries ever. Theyre known for their F.A.R.T.S. (Fast and Reliable Tracking Service). Cowboy is the brains of the operation, and Birdbrainwell, he is a brain but hes just not brain-y if you get the drift… Anyway, this dubious duo are not the best or even second-best deliverers at IFFY DELIVERIES. Theyre the WORST. But theyre also the funniest! 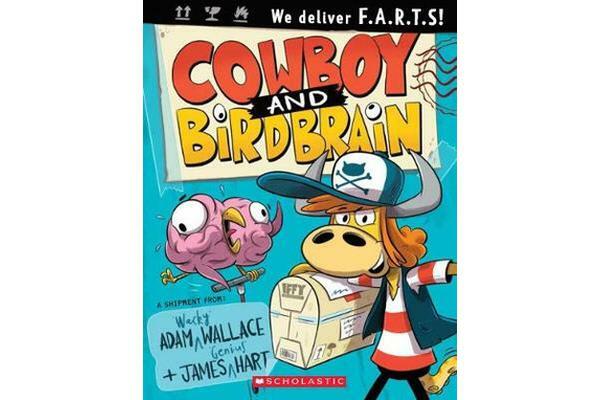 Join Cowboy and Birdbrain on their WACKY adventure, when their boss gives them the following job: URGENT DELIVERY! To: Ship in the Middle of the Ocean. WARNING: Do not get package wet!